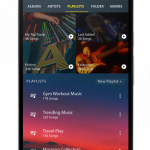 Before you download Study Music v12 [Ad Free] APK, You can read a brief overview and features list below. Overview: Meet Study Music, the most powerful music app for studying, relaxing, focusing, concentrating and better learning. Featuring advanced functionalities like adding alpha waves to your music, adding nature sounds to your music, improving your study space and more, Study Music is the study app you’ve been dreaming about. These features, combined with an amazing interface and eye-catching design, make Study Music the best way to relax, focus and just study. Great homework and exam preparation helper for students. It’s a must-have app for students, teachers, lecturers. 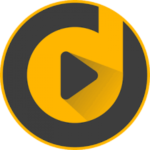 • Different songs for different tasks such as Focus, Study and Create and much more. • Alpha waves, rain sounds, and nature sounds can be added to your music. • Background playback. You can use other apps or turn off your screen while playing music. • Simple interface and gorgeous design with high-quality graphics. What are these songs for? Focus is for helping you to focus,Study is for assisting you when you are studying,Read is there for your reading time, Memorise is for helping you to memorise information, Solve is for problem-solving, Learn is for learning new information, Create is for boosting your creativity, Think is for your peaceful thinking time, and Imagine is for stimulating your imagination. It’s simple. Just select the music for your task and add nature sounds or alpha waves if you want. For example, if you can’t focus on your work properly you can select the Focus music and simply do your work. We recommend using the app while you are studying, reading, creating etc. Or you can use it while you are sleeping too if you want. No. You can use Study Music without an internet connection if you want to. But some of the songs need an internet connection in order for you to listen. 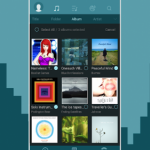 How is Study Music – Memory Booster different from other music apps? Study Music is the first music app focused on cognitive tasks such as memorization and imagination. And we are constantly updating it with your suggestions for a better experience. What are binaural beats? How does this affect me? Binaural beats, or binaural notes, are auditory processing artifacts, or apparent sounds, caused by specific physical stimuli. This effect was discovered in 1839 by Heinrich Wilhelm Dove and earned greater public awareness in the late 20th century based on claims coming from the alternative medicine community that binaural beats could help induce relaxation, meditation, creativity, focus and other desirable mental states. The effect on the brainwaves depends on the difference in frequencies of each note. So Excited to download? 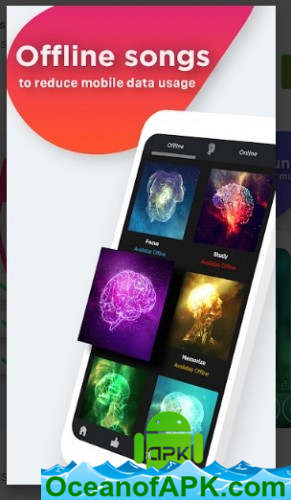 Well, click on below button to start Download Study Music v12 [Ad Free] APK. This is a single direct link of Study Music v12 [Ad Free].